Need I say more? This movie is full of thrills & excitement that it never failed to keep me glued to my seat. If you're wondering what the story is all about, it's about this orange cat called Puss who wears a pair of boots just like character in the fairy tale book that we're all to familiar with. 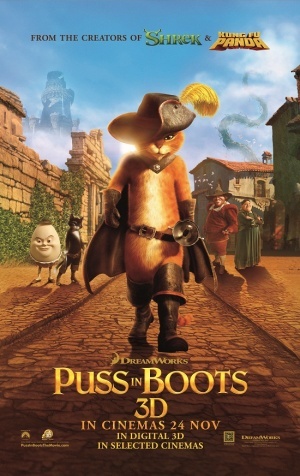 The plot is a spin-off which revolves around the cat's adventure before appearing in the Shrek franchises.